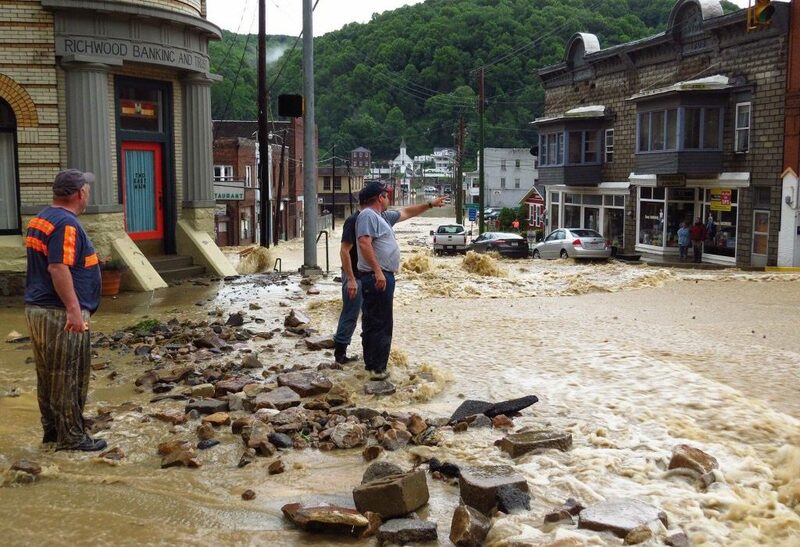 Richwood, West Virginia, residents still digging out from a late June flood are finding more problems to deal with. Mayor Bob Henry Baber said one of the newest problems are dirt, mud, sand and large rocks that are clogging the town’s storm drains. In most places, sealed pipes in a stream aren’t a problem, Baber said. When a town tends to flood, as Richwood does, it becomes a problem, he added. The reason for this decision is due to FEMA’s regulations on restoration, Baber said. Baber made a plea to anyone who can help with these situations. See article on June 2016 flood + photo credit.